The recent launch of Google’s brand identity evolution brings back to light questions around the impact of digital environments on brand identities. Visual design is a vibrant, ever evolving world. It always combines timeless principles with new tools and changing fashions. Contemporary design operates within a global culture. One that has been getting increasingly visual for over a century since the early days of mass media. Brand identities, specifically, now spend a large part of their lives in digital environments. These environments offer both opportunities and challenges, but are we really seeing the amount of innovation we’d expect? The kind we’ve seen in product design or interface design. What are the key factors shaping brand identities in digital environments? To keep digital interfaces usable, they must be intuitive and simple to use. Intuitive means familiar, so that the interface can become transparent to the user. This creates an implicit tension with brand identity (and, in fact any form of marketing communications) as these also aim to to differentiate, surprise and set apart. In fact, when you look at the better identities of some digital natives with a strong ease of use agenda, such as Evernote or Citymapper, you will find straightforward metaphors done with radical simplicity, but what about the new opportunities the digital environment can offer? Brand identities have been traditionally created for a print-based marketing paradigm. They aim to create consistency across discreet channels. In the digital environment, channels are built as integrated experiences across interconnected ecosystems. It’s tough to predict which platforms users are using to view content. To make matters more complex, users also engage with the content, share it and sometimes even reshape it. This creates a second paradoxical demand – brand identities now need to be both flexible and consistent, simple and sophisticated if they are to maintain any integrity across the ecosystem. Digital allows for movement, animation, sound and interaction. This adds a whole layer of visual, audio and interactive behaviours that isn’t a part of a largely print-based static world. Yet most brand identities are still created firstly as static graphics. Mobile operator Three was a one of the first pioneers with an animated logo, but hasn’t done much beyond the logo (the built-in obsolescence of the name couldn’t have helped). Xbox’s ‘heartbeat’ sound and animation is a fairly convincing metaphor for the gaming experience and exists both in digital communication and the device itself. Still – so far examples are few and far between and most of them seem like experiments limited in their scope. 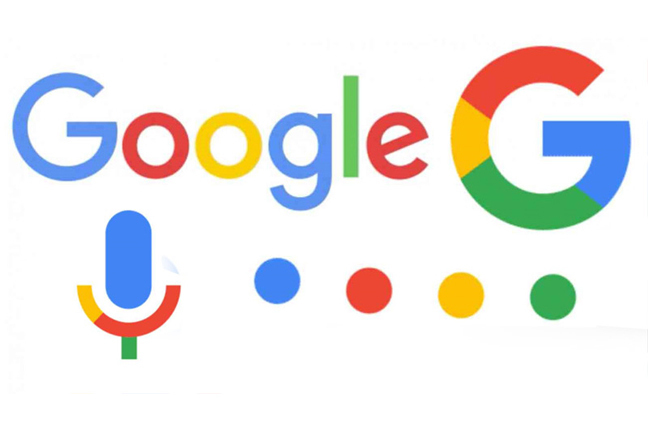 That’s why the new Google rebrand is a reason for celebration; it might not be aesthetically stunning, but it embraces movement to communicate – with the logo turning into application apps, as well as an ownable loading animation and a fluid style of movement between the different states that is full of personality. It almost turns the logo into an animated character. More importantly, it feels like the movement style makes sense not only as a reflection of functionality, but a reflection of Google’s brand personality. Maybe the reason why brands haven’t made the most out of digital is simpler – the long list of technical requirements doesn’t leave a lot of space for innovation. Requirements made by issues such as globalisation, localisation and accessibility. Resolution differences requiring identities to work well when scaled to smaller sizes than ever before. Even current peculiarities such as common rectangular logos having to work well as squares which have emerged as the standard shape for social media avatars and app icons. And so, while the first three points illustrate challenges and opportunities, maybe it’s going to take more time – until a new generation of designers is so native to getting the technical requirements right, that they can find space for innovation and experimentation. Maybe the exciting brand identities that truly leverage these opportunities and flourish in the digital environment not just as business but also as iconic pieces of design are yet to come. The digital environment presents a long list of requirements to brand identity design that designer and marketing professionals are just waking up to. It’s a whole new world of craft. It’s encouraging to see a brand as prominent as Google, that for many years had a somewhat crude logo, embracing both the challenges and the opportunities. Let’s hope it gives other brands a license to embrace digital too. This accelerated evolution could result in more breakthrough work that is yet to come. This entry was posted in Branding, Marketing and tagged brand identity, Branding, design, digital design, google by Uri Baruchin. Bookmark the permalink.